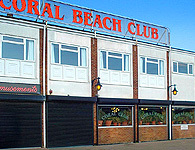 Coral Beach Leisure is situated on the main A52 Coastal Road from Skegness to Ingoldmells. 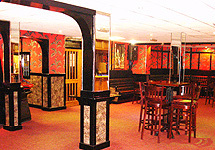 Onsite facilities include 4 separate night venue's with live entertainment, cash bingo, Karaoke and childrens disco - there are also fish & chip shops, amusement arcades, a laundrette and mini market. 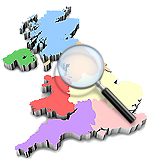 Our location is ideal for those who wish to be close to all the local Skegness, Ingoldmells, Mablethorpe attractions including Butlins, Fantasy Island and massive 7 day Market. 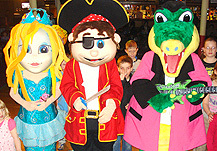 Camp Shop, Launderette, 2 Fish & Chip Shops & Eating Area at Coral Beach & Sealands, Entertainment venue's and Pirate Pete's childrens play area. 2 Modern Amusement Arcade for all ages from tots to grans. Pet Friendly 3 bedroom static caravan for hire located at Coral Beach, Ingoldmells, Skegness, Lincolnshire. Double glazed, sleeps up to 8 guests.